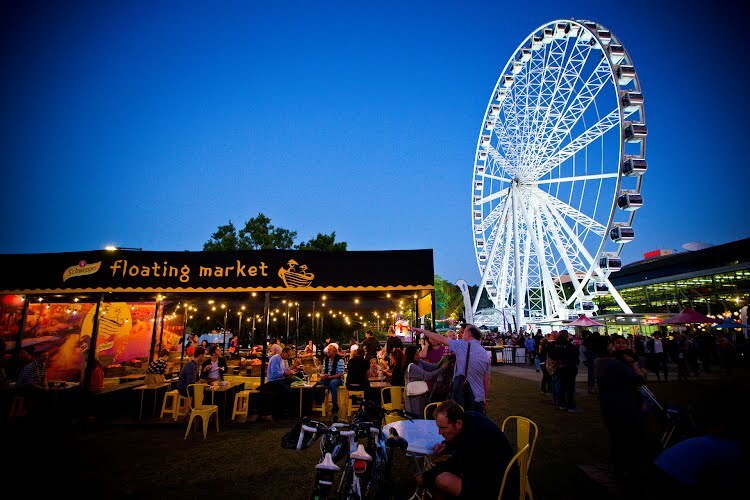 Creative concept, brand activation, project management and production. 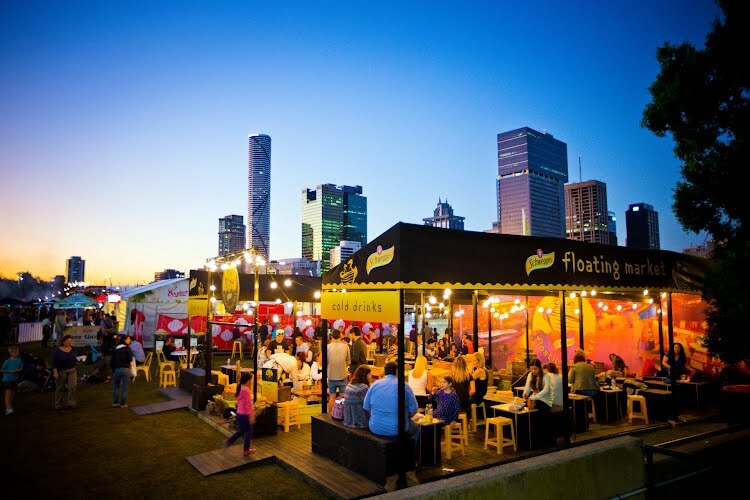 The Schweppes Australia activation for the Night Noodle Markets takes inspiration from floating markets seen in parts of Southeast Asia. 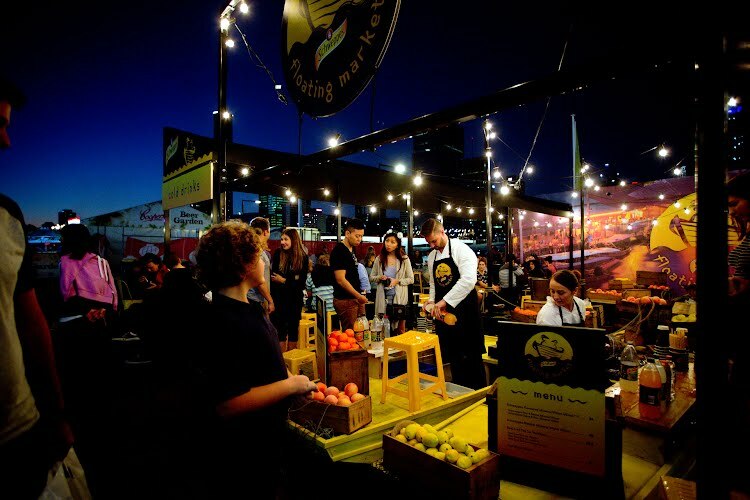 Working with the Taboo Group Moth worked to bring the Schweppes brand to life and tour this activation through Brisbane, Sydney and Melbourne. 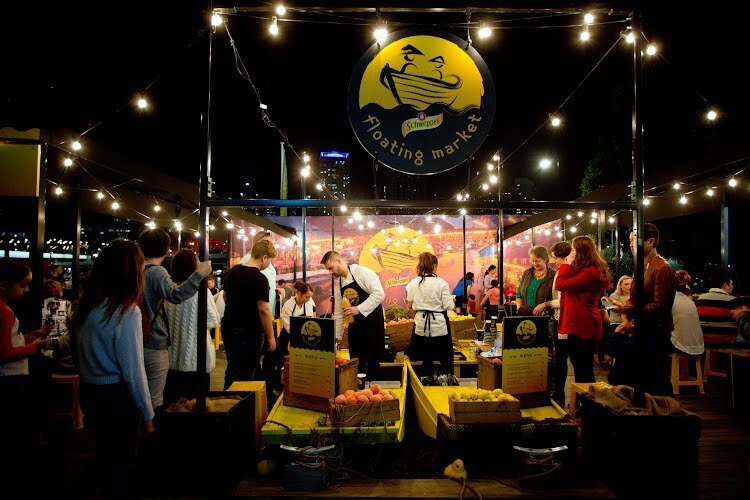 Along the centre of the stall, 6 small boats sit low in the ground and appear to float. 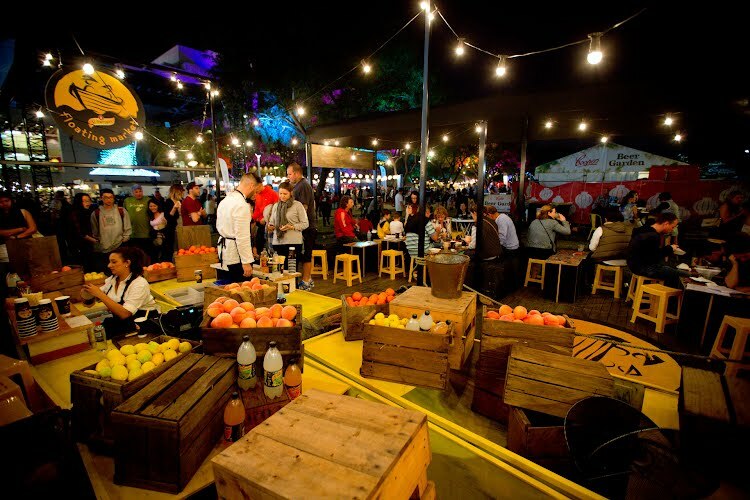 Operating as a bar and servery stations with the staff sitting within surrounded by crates of fresh produce and product. 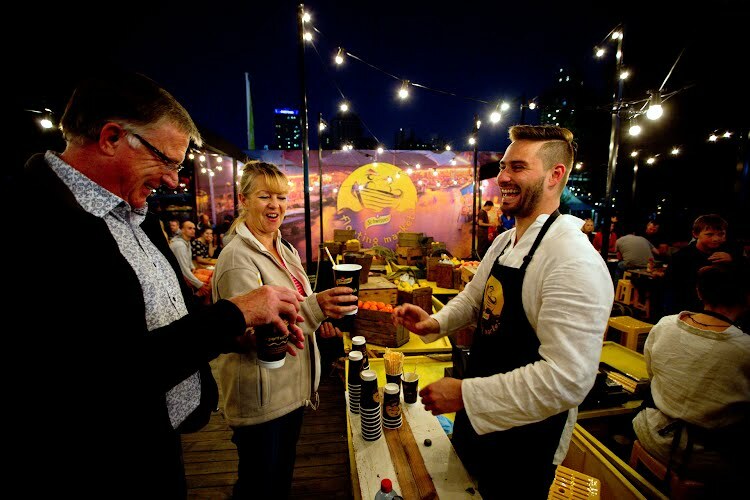 Two raised decking flank both sides of the ‘boat bars’ make up the rest of the stall.